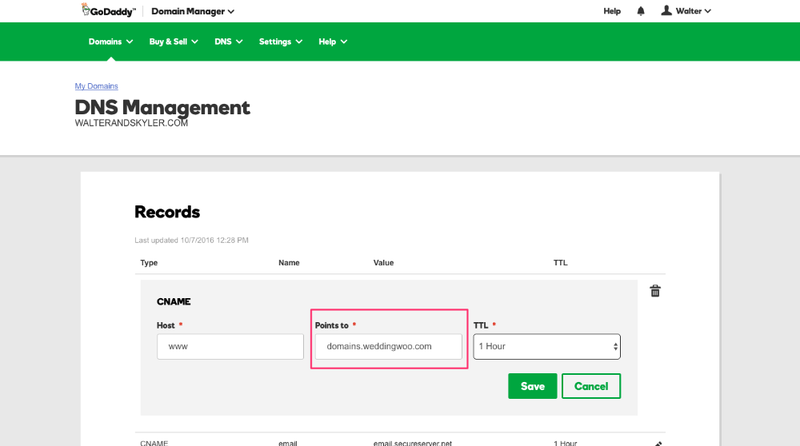 If you have registered your domain at GoDaddy, please follow our instructions to configure your custom domain so you can use it on WeddingWoo. 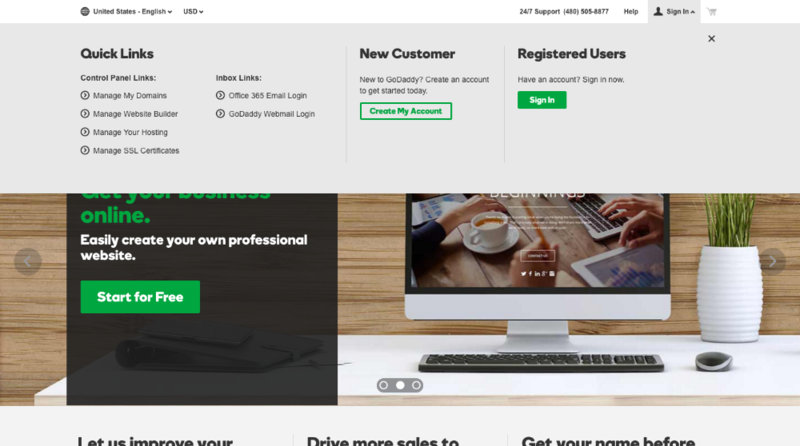 Please go to GoDaddy and click on "Sign In". Under "Registered Users", please click on "Sign In". 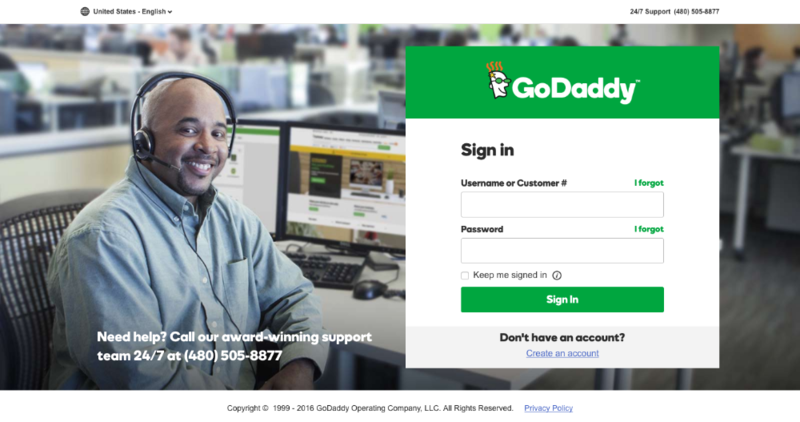 Please input your GoDaddy credentials and sign in to your account. 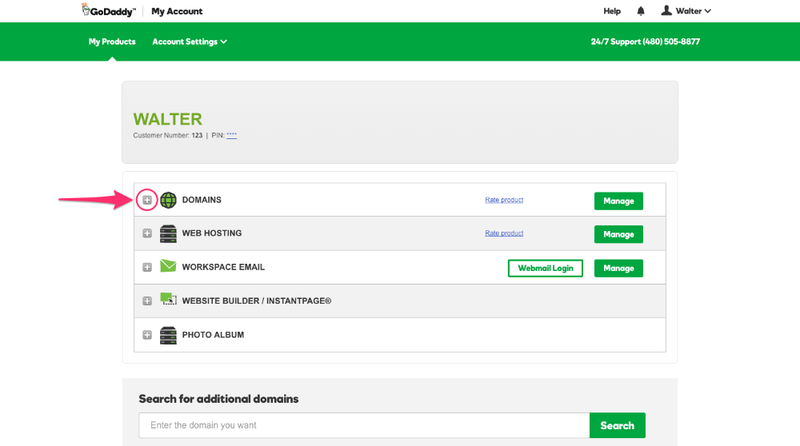 Once you are signed in, you will see a plus (+) sign next to "DOMAINS". Please click on the plus sign. 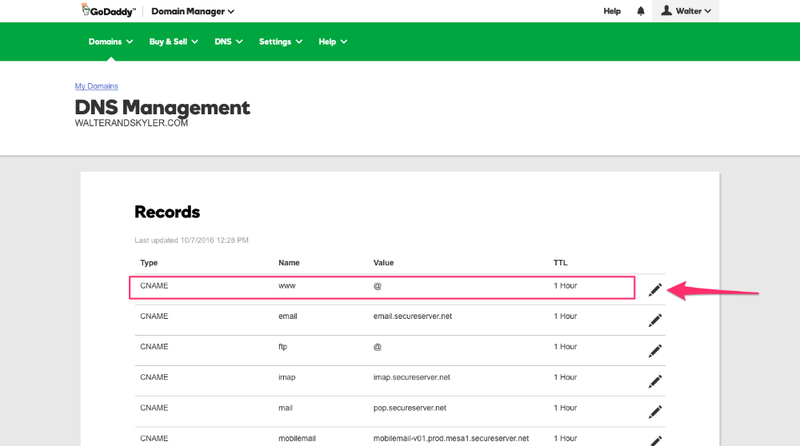 After clicking on the plus sign, next to the custom domain that you've registered, click on "Manage DNS" on the right hand side corresponding to your domain. 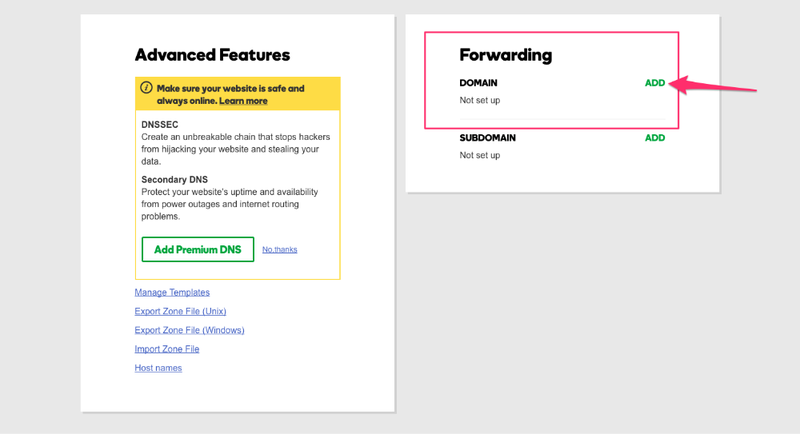 You should now be in " DNS Management" for your custom domain. Please look for a row with Type of "CNAME" and Name of "www". When you find it, please click on the pencil icon on the far right to edit the record. Edit the "Points to" value and type in: "domains.weddingwoo.com". Hit "Save" to update the zone record. Now, we need to configure your domain redirect. 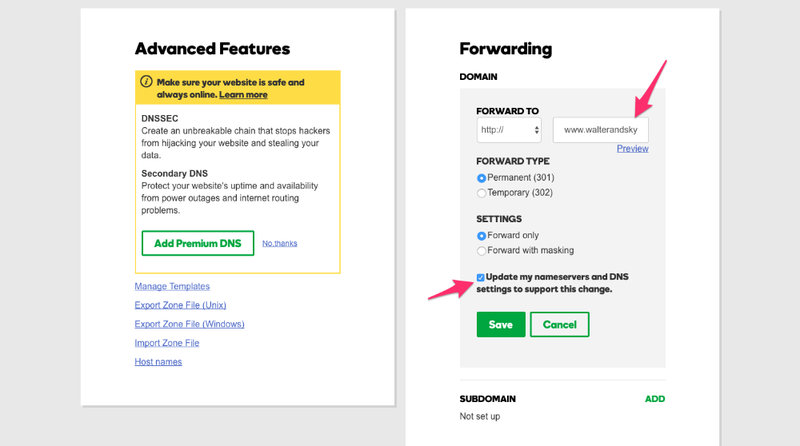 Scroll down on the "DNS Management" page and look for the "Forwarding" label towards the bottom. Please click on "Add" next to the "Domain" label. Please input your custom domain in the text field with the "www" in front of it. 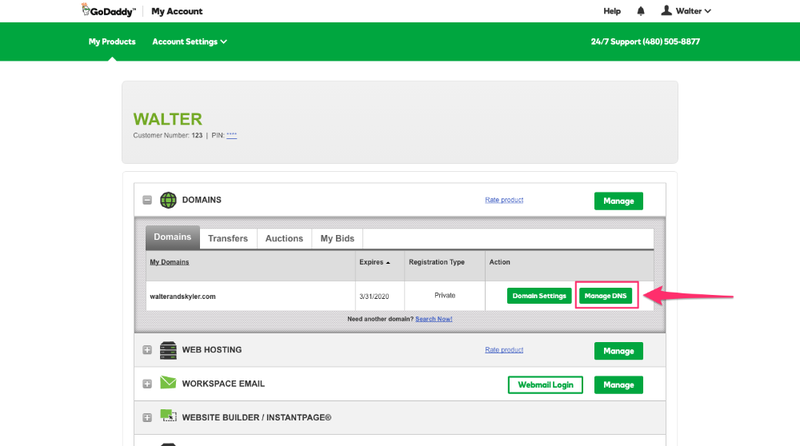 For example, if you registered walterandskyler.com, you will put the "Forward to" as "www.walterandskyler.com". Also, be sure to check the option of "Update my nameservers and DNS settings to support this change". Then, click on "Save" to update your changes. When you are finished configuring your domain on GoDaddy, please go back to our support instructions and proceed to finish steps 3 and 4.